Carrie was one of my favorite brides this year. 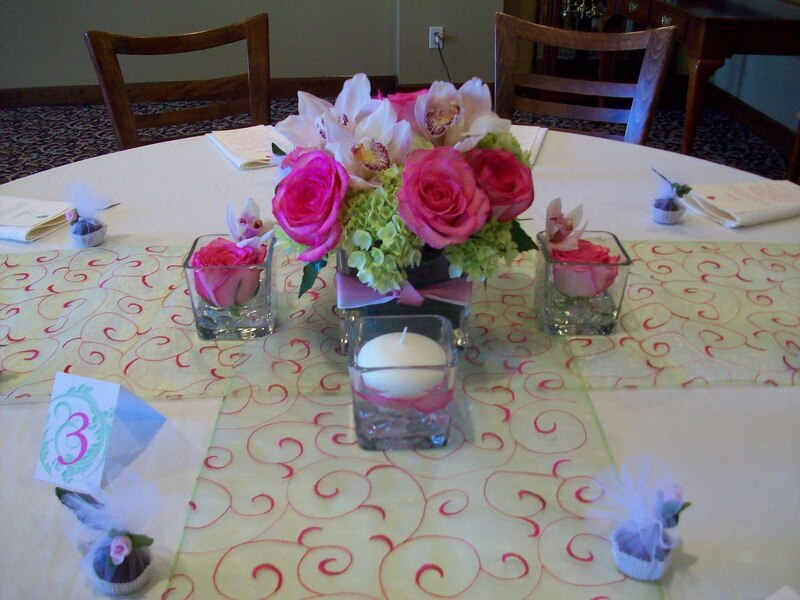 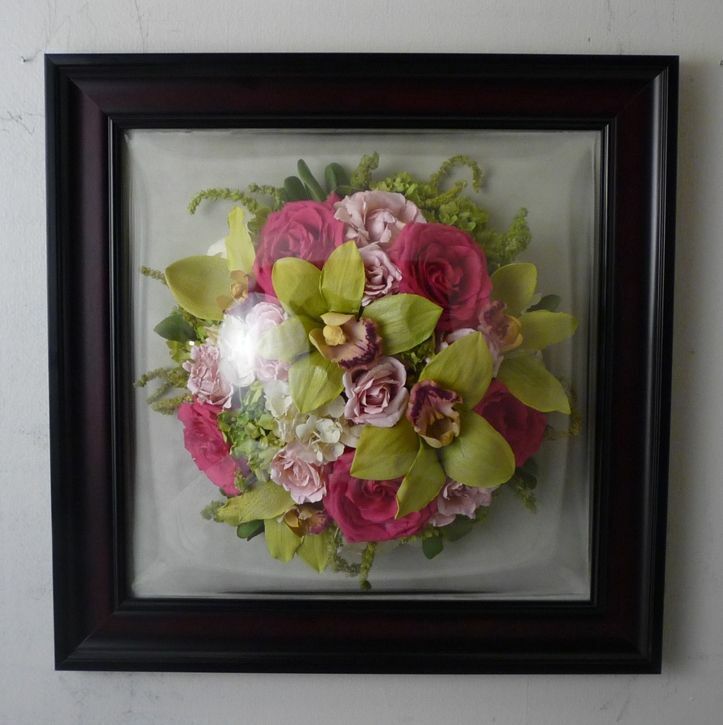 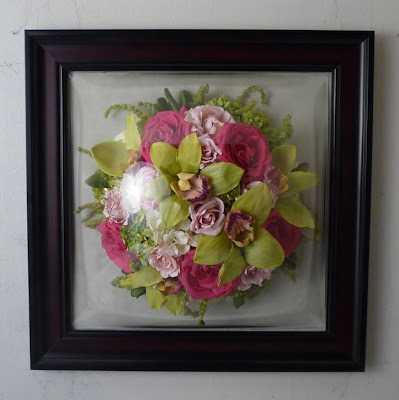 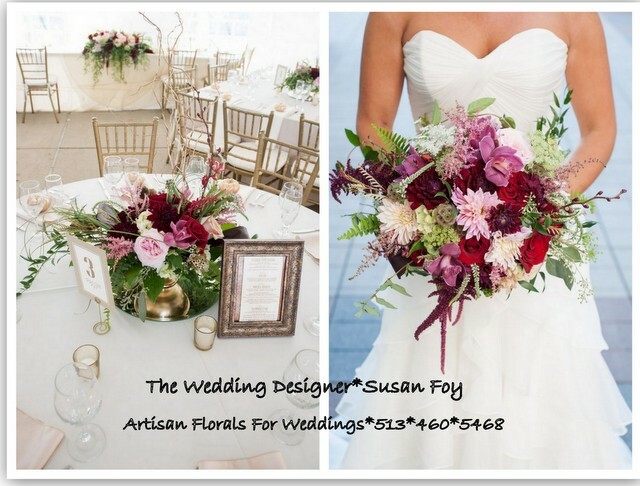 She was enthusiastic about the planning of her florals and had a great deal of vision and input, which I love. 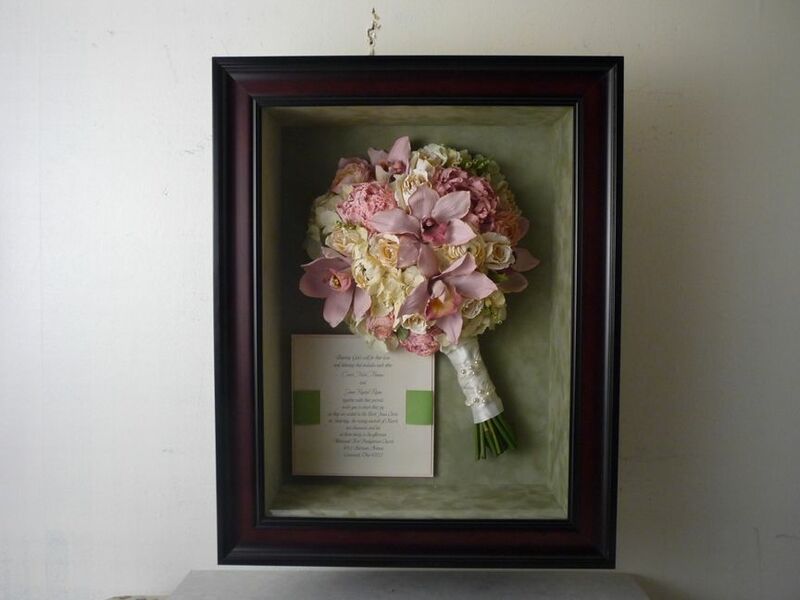 She was also just a plain sweetie. 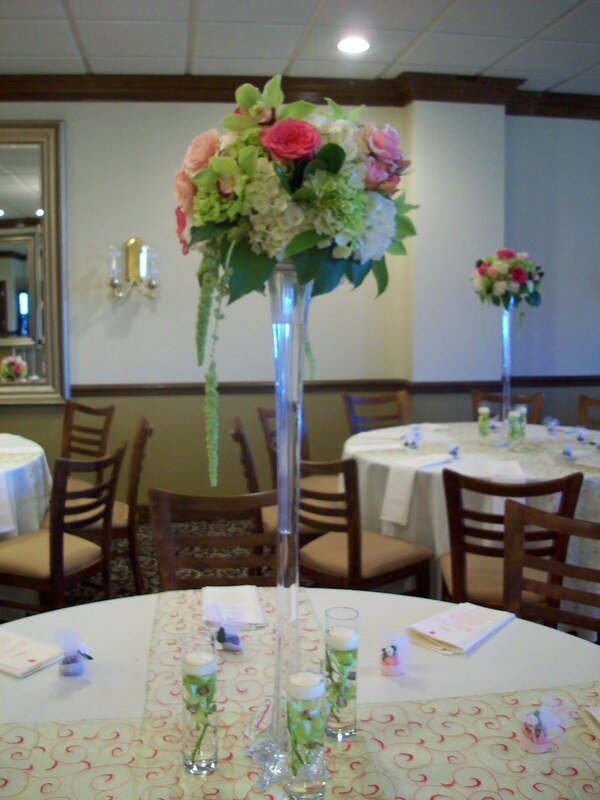 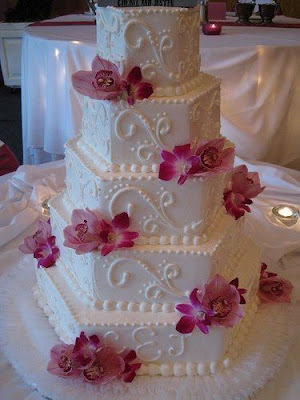 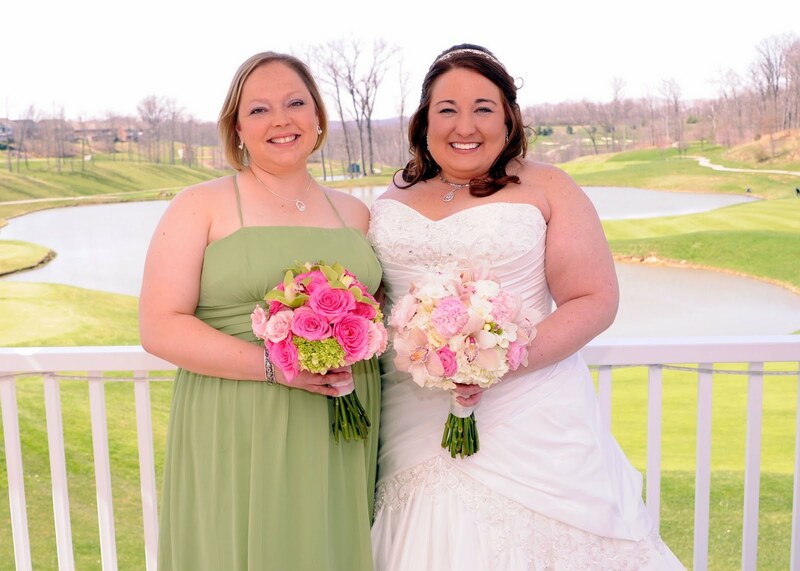 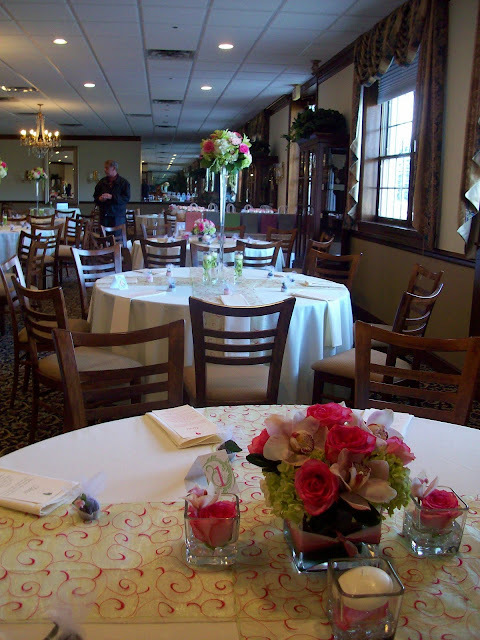 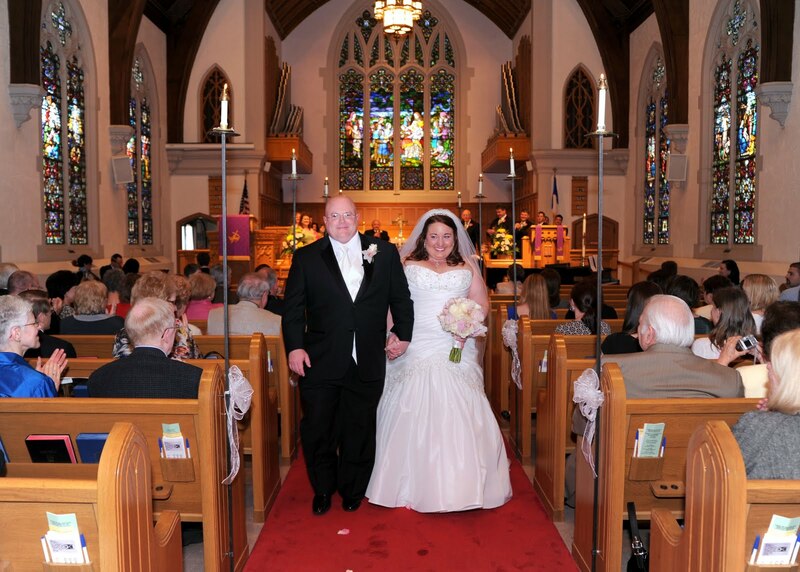 Her reception took place at Four Bridges Country Club- and although it was March- it was a perfect day. Thanks for the pics, Carrie- taken by Robert Hogan Photography. 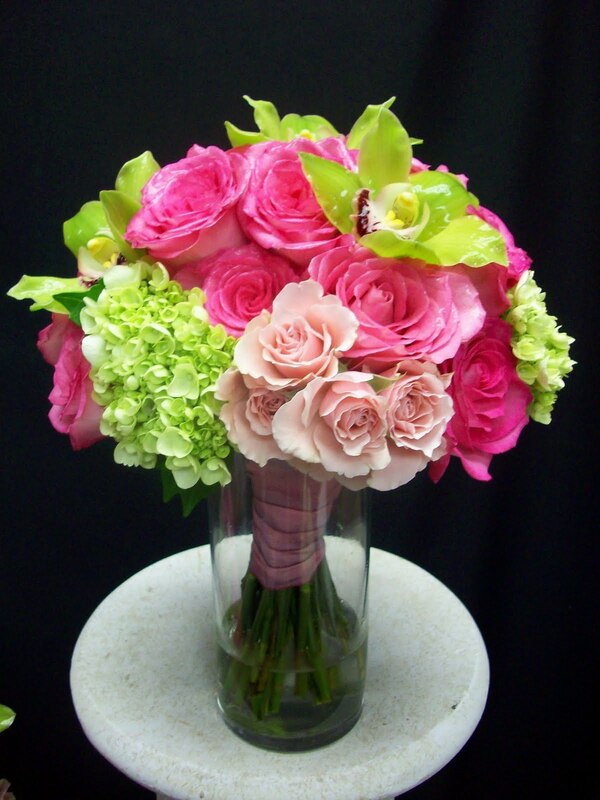 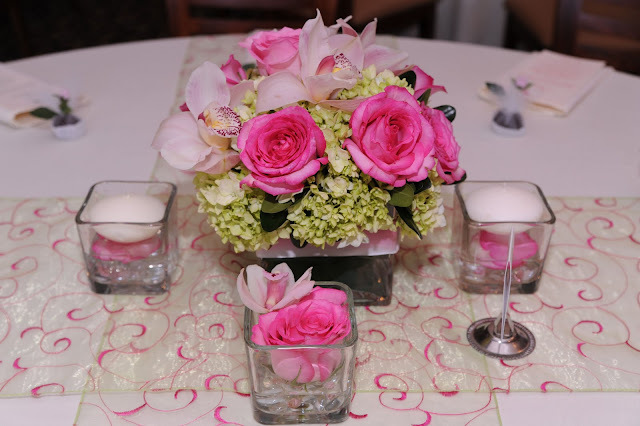 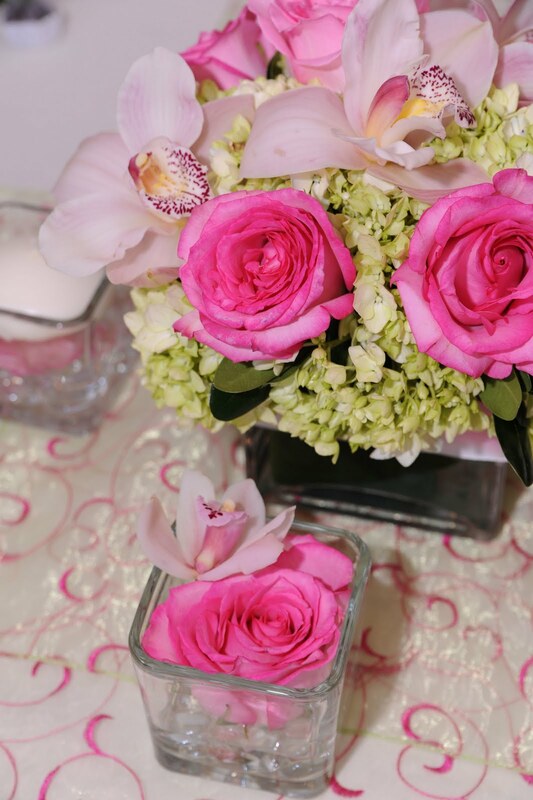 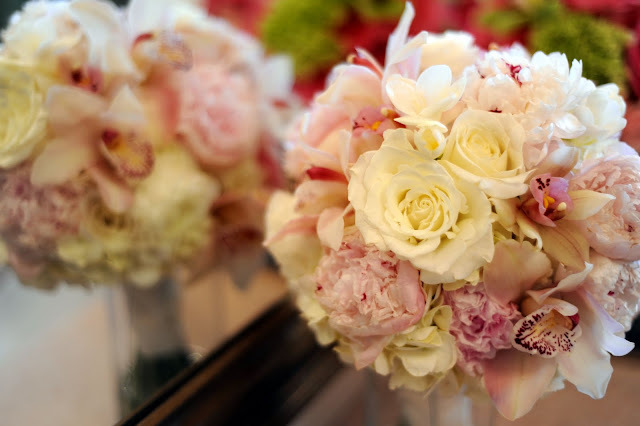 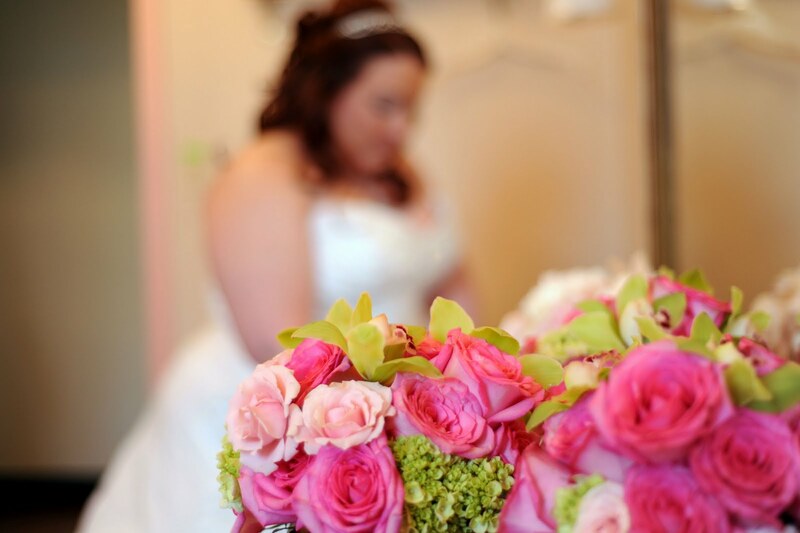 Carrie's bouquet was a soft romantic mix of peony, cymbidium orchids, roses and freesia. 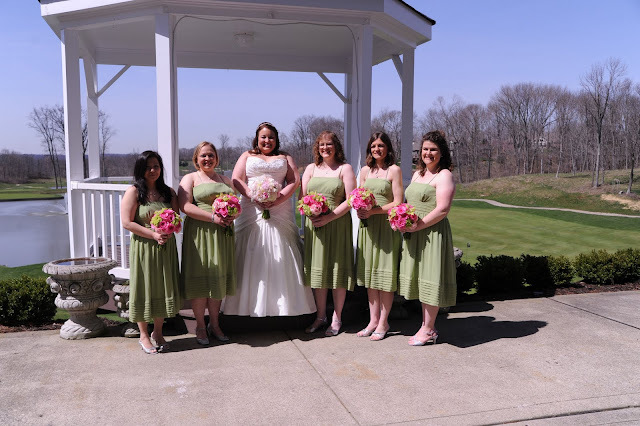 Her girls carried a bold mix of hot pinks and greens. 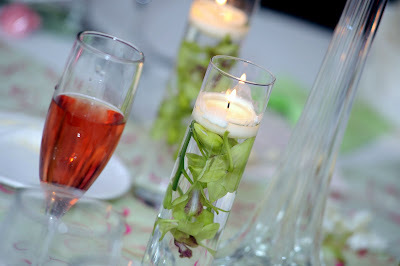 Her centerpieces were a mix of highs and lows in eiffle tower topiary and glass cubes with sidekicks. 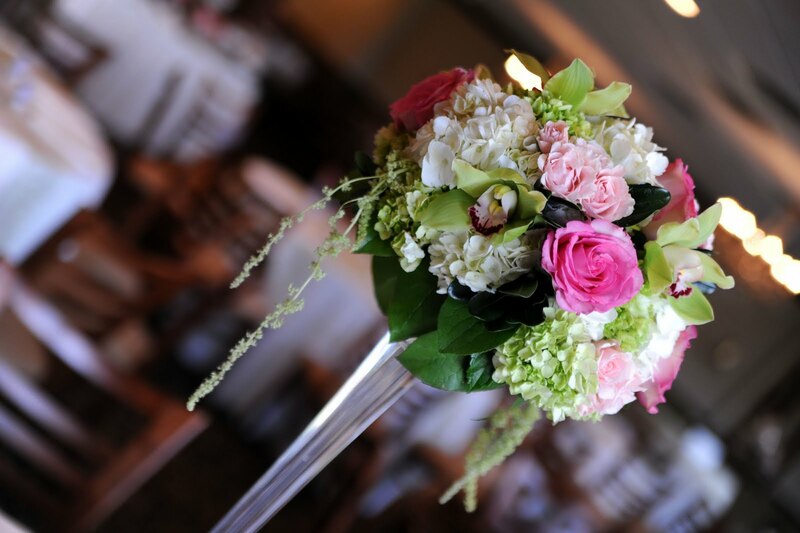 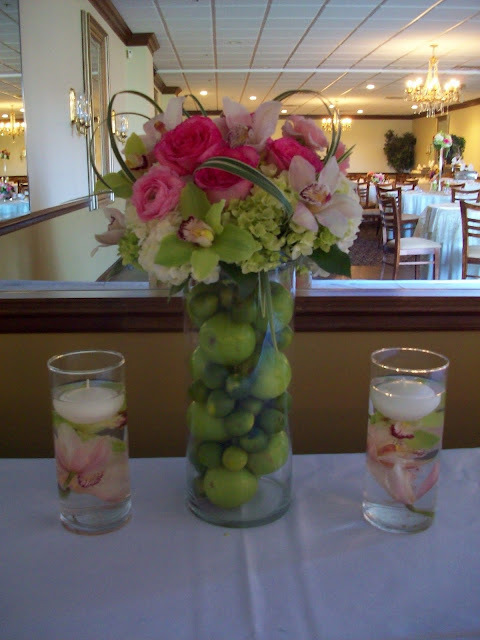 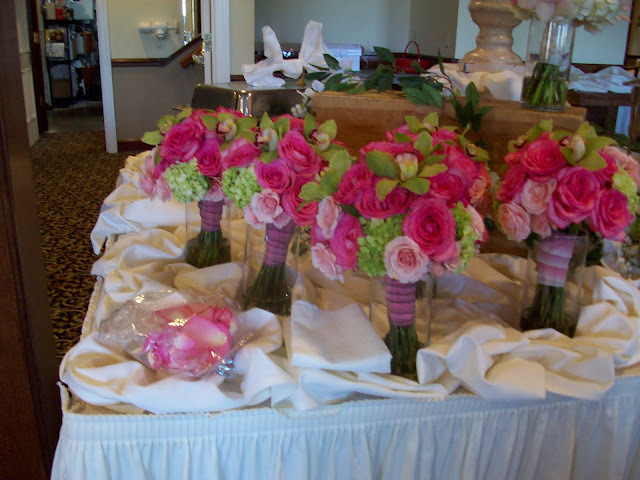 Carrie had her bouquets freeze dried afterward and sent me these great pics from FreezeFrame. 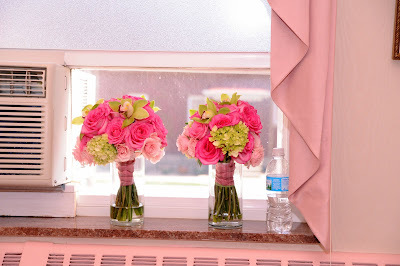 I think they did a fantastic job. What a great way to preserve your memories! Thanks again, Carrie, for including me in your special day!